Kavanagh's are a family firm who operate my favourite inner-city electrical shop in Galway city, conveniently located just along from the Market St carpark. Their retail outlet is supported by a service-workshop based in Knocknacarra. 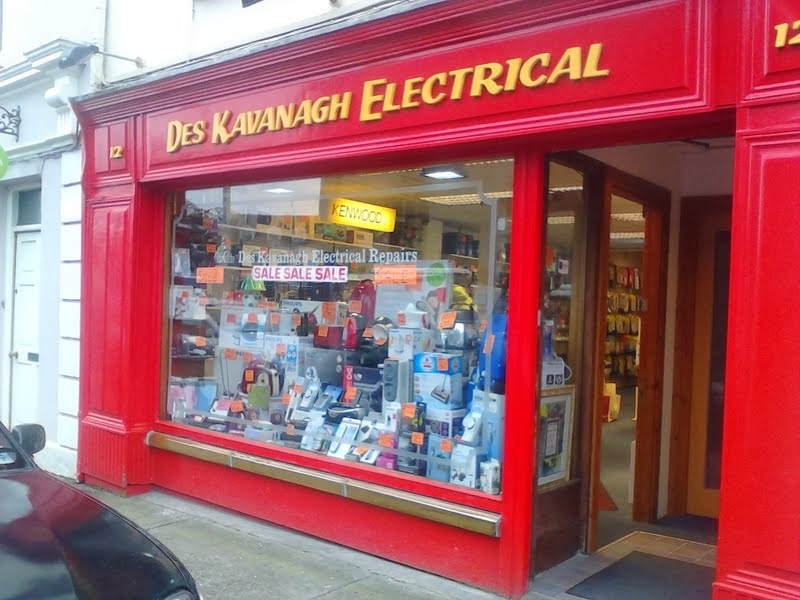 They stock a wide range of electrical appliances - for home and business / commercial purposes - and offer spare parts and appliance servicing. Their range includes the full range of electrical appliances, including vacuum cleaners accessories and electrical spare parts.